Wikipedia has a page on the shootings. Wired’s Threat Level blog has more info including eyewitness accounts and cellphone video and is being updated at a fast pace. The Collegiate Times Breaking News section is also being updated with the latest news and stories about the tragedy. 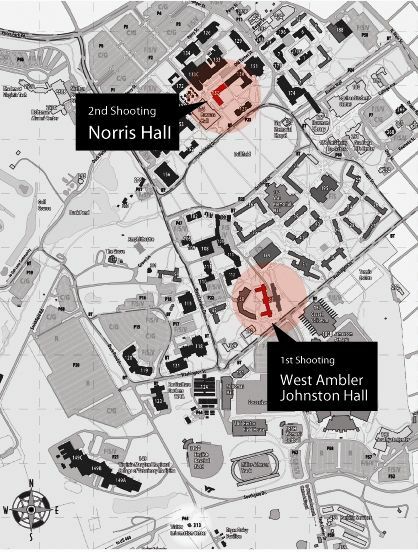 They also have a map of the shootings. Flickr has a photo pool up under Virginia Tech Shooting. Ruiqi Zhang, a junior computer engineering major, experienced the incident first hand in his class on the second floor of Norris. They had to declare their moon rocks. Seriously! Documents which have just come to light via the internet show that even if you’ve just travelled to the Moon and back – especially if you’ve just travelled to the Moon and back – the US Customs wants to know what you’ve got. Anyone who has visited the US will be familiar with the huge list of items which travellers are required to declare, such as plants, drugs and other preparations. 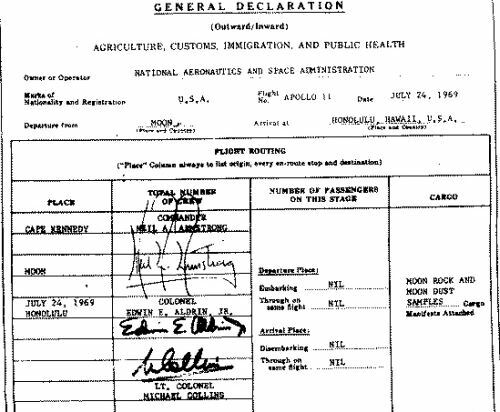 Historians at Nasa, the US space administration, have confirmed that the document, signed by the three crew members, Neil Armstrong, Edwin “Buzz” Aldrin and Michael Collins, is authentic. It lists their departure point as “Moon” and arrival as “Honolulu” on 24 July 1969. 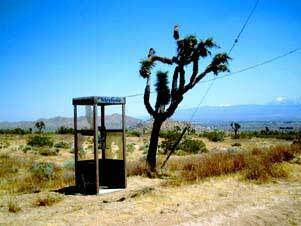 The Mojave phone booth was a lone telephone booth placed circa 1960 in the Mojave National Preserve which attracted an online following in 1997 due to its unusual location. The booth was 15 miles from the nearest interstate highway, and miles from any buildings. Its phone number was originally +1-714-733-9969, before the area code changed to 619 and then to 760; 733 is the Baker, California rate center. Fans called the booth attempting to get a reply, and a few took trips to the booth to answer, often camping out at the site. Several callers kept recordings of their conversations. Over time, the booth became covered in graffiti, as many travelers would leave a message on it. For more info you can go to the Mojave Phone Booth site. There’s a series of 9 pictures of the display. I won’t ruin the final one for you so click to see. 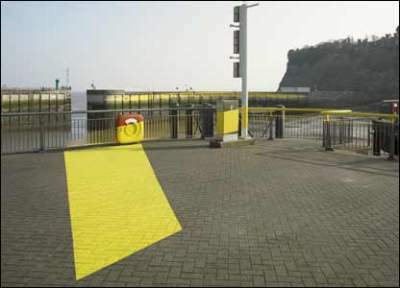 Between 11 and 25 March, Swiss artist Felice Varini and his team created an unusual piece of public art that is set to baffle and fascinate visitors to Cardiff Bay barrage. 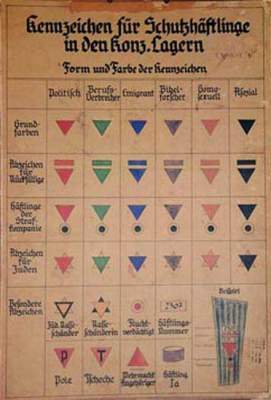 Chart of concentration camp badges worn in Dachau, c. 1936. If the canard that Adolf Hitler was a superb art director is meant to glorify the art directorial profession, think again. Although historians say he was the “art dictator” of Germany because he spent an inordinate amount of time overseeing the art and design of the Third Reich, he nonetheless had thousands of willing “executioners,” like Hugo Boss, designer and manufacturer of Wehrmacht and SS uniforms, doing the everyday work. Yet like art directors today, as FÃ¼hrer (leader) he received credit for everything under his domain, even those things he knew nothing about and had no hand in creating. One such was the identification system implemented throughout the concentration camp network. No documentation has surfaced that proves Hitler had any direct input in developing the inverted triangle (known as the “Winkel”) made of variously colored fabrics to distinguish homosexuals from habitual criminals from political enemies from Jehovahâ€™s Witnesses from Gypsies from, of course, Jews. But this color and symbol code (concentric circles distinguished failed escapees and were worn on prisoners’ sleeves like boy scout merit badges) was initiated shortly after the Nazis opened the infamous Dachau in 1933, in a former munitions factory in Upper Bavaria. Although the camp was originally designed for the â€œprotective custodyâ€ of political offenders, it soon swelled up with the regime’s undesirables, most of who had to be segregated and then earmarked for “special treatment.” It is probable that camp commandant Theodor Eicke was responsible for â€” or even the designer of â€” the classification scheme which, like the camp layout itself, became the model for all other camps in occupied Europe. (In fact, prospective camp commandants were required to complete a special “school of violence” at Dachau).